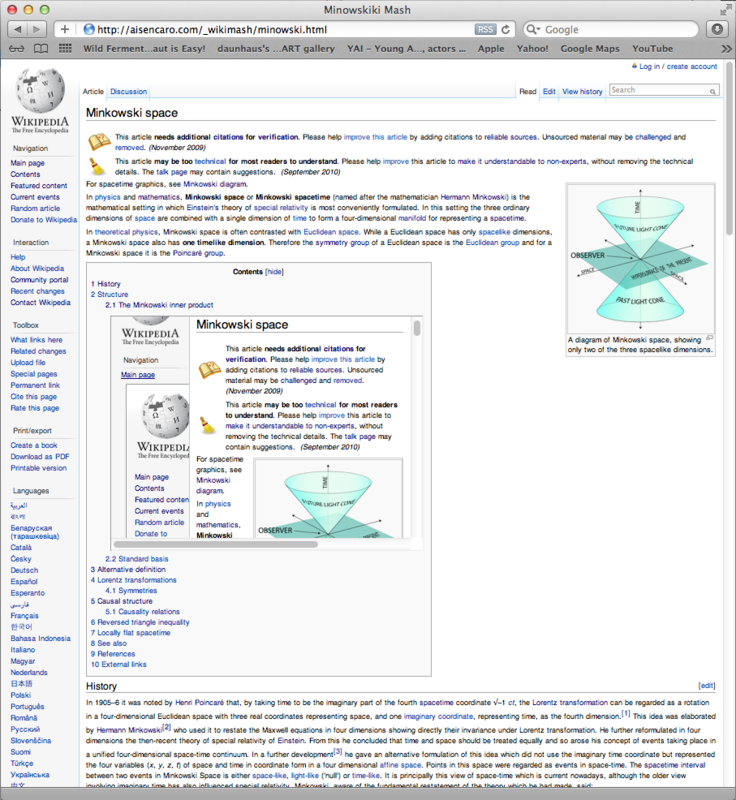 This piece investigates the mashup of simultaneous Wiki pages opening within one page. This idea arose from the endless clicking and deviations that result while reading Wikipedia. This simulation is just a prototype of a larger idea of endless wiki mazes.